The most recent reimagining of Godzilla, which came out back in 1998, was by no means a critical success. It introduced a new generation to the monster made famous in older Japanese films, but it failed to capture the magic that made Godzilla so iconic. The newest American reboot, starring Aaron Taylor-Johnson, Elizabeth Olsen, Ken Watanabe, and Breaking Bad's Bryan Cranston, promises to finally show audiences worldwide why the Kaiju is such a cult classic. Judging from this two-minute teaser, it looks like those involved are going to make good on that promise. Directed by Gareth Edwards, Godzilla's plot summary says the movie will pit "the world's most famous monster against malevolent creatures, who, bolstered by humanity's scientific arrogance, threaten our very existence." The movie will attempt to tell the origin story of Godzilla in contemporary times, and explain his existence as a "force of nature" in response to the "way [humans] have behaved," Edwards said. 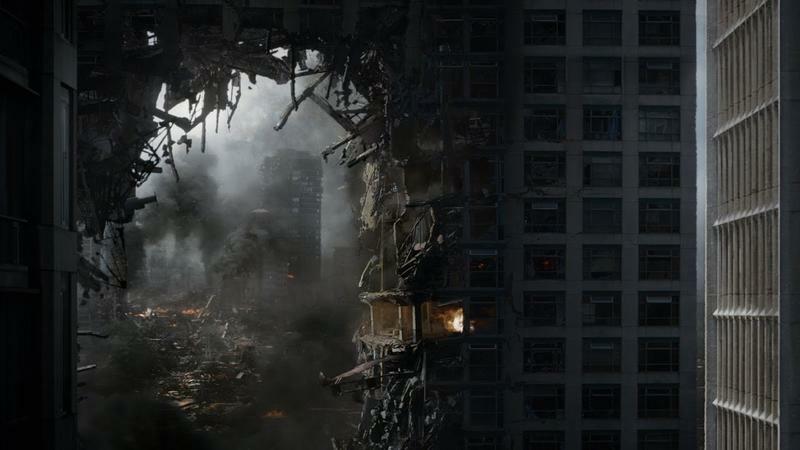 The teaser looks incredible, and shows the scope of the monster as it tears through skyscrapers like they're not even there. If you thought Pacific Rim was the best monster movie in recent years, the next Godzilla reboot might retake that crown. Godzilla will hit theaters May 16, 2014.